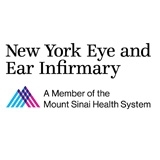 New York Eye and Ear Infirmary of Mount Sinai (New York) - Book Appointment Online! NYEE Ophthalmology Family Practice is a warm, convenient practice with a great reputation. It has served the community’s eye-care needs for more than a decade and maintains a small-business feel for personalized treatment. The staff strives to provide excellent, comprehensive care, paying attention to the specific needs of each patient. With a total of seven practicing physicians, NYEE Ophthalmology Faculty Practice is able to offer virtually all subspecialties of ophthalmology. They offer specialized treatment for the cornea and retina, glaucoma treatment, oculoplastics, and neuro-ophthalmology. General ophthalmology, including adult and pediatric eye examinations, is also available. Patients visiting NYEE Ophthalmology routinely praise the kindness and accommodation presented by the staff. Appointments are easy to make and wait times are short. Great bedside manner. I felt very comfortable with her and she did a great job explaining all procedures. Great doctor and very nice and helpful staff!